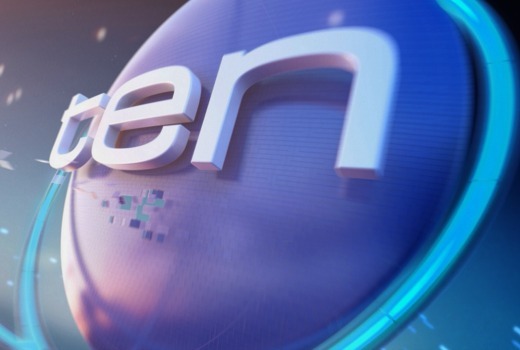 TEN and Southern Cross have signed a new 5 year affiliation agreement for the supply of TEN programming for the Northern NSW television licence area. This arrangement will see Southern Cross continue to broadcast TEN titles such as MasterChef Australia, The Bachelor, Offspring and the Big Bash League into areas including Gosford, Newcastle, Lismore, Gold Coast, Newcastle, Coffs Harbour, Tamworth and Taree. The new agreement from 1 July 2016 is for an increased licence fee to that applying under the previous TEN / SCA affiliation agreement, which expires on 30 June 2016. Earlier this week there were reports WIN TV has held talks with Southern Cross about buying its northern NSW assets. are expected to be made shortly. Locking NRN into a more expensive renewed affiliation with TEN will make it more expensive for WIN or anyone else to buy after the 75% Audience Reach Rule is abolished if as long rumoured NEC and SCA merge and have to sell NRN. Puts pressure on WIN to sign up for the same 50% rate it appears now for AMA, AMC and AMD markets. As usual WIN will play their silly games of bluff up until 11:59pm on June 30. Bruce may well have no option other than to shut down WIN in those markets being it would be borderline uneconomic paying a higher affiliation rate for the 3rd rating metro network and not being able to close existing local news commitments when the new media laws actually pass. WIN has never had anything in Northern NSW. Nine programs are carried by Nine-owned NBN Newcastle from northern Sydney to the Gold Coast. WIN have never have been in Northern NSW (NBN air 9’s programming in the area ). Win television is the largest television network in the country I doubt very much it will ever fold ..it broadcasts to the largest tV audience of any network . Nine reaches 18 million, Seven 17 million and Ten aroune 16 million. Southern Cross reaches 7 million and WIN just under 6 million. Now 10HD and any new channels should be included in the deal , and remove the geo blocking from Freeviewplus …. David where is that Ten logo capture taken from? Looks fantastic! Think it was created by ZSpace for TEN Sports. Ten needs a new logo or perhaps some 3d graphics or animation like 11 has. Under present laws WIN would probably not be able to purchase SCA Northern due to the 75% reach rule??? “Orange, Dubbo”? Was this region not included in their deal with Nine? “the Northern NSW licence area” doesn’t include the Western NSW region. You’d think the CEO of SCA would know that Orange and Dubbo aren’t part of the Northern NSW market? They must have seen your comment. I just received an updated release, without those 2 areas. There’s nothing in the release to indicate the % that is being paid? If WIN couldn’t pay 50% to Nine they won’t pay 50% to TEN. For TEN, 40% of something is better than 50% of nothing.